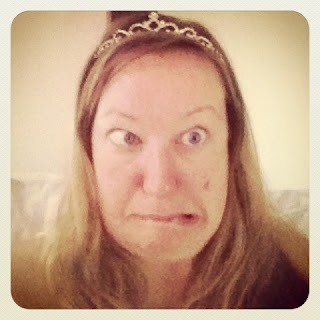 As has now become tradition on my birthday, I woke up and put on the birthday tiara :) I read some lovely birthday messages on Facebook, then took a lovely picture of myself to send to hubby who was cooking me delicious birthday pancakes. 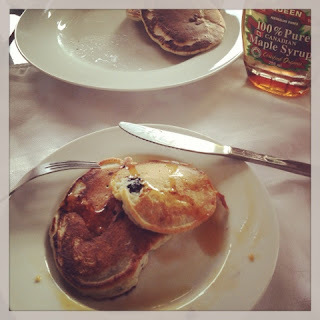 Birthday breakfast was blueberry pancakes with maple syrup - my favourite yumm!! After breakfast I opened my cards and presents and received some lovely gifts and messages. 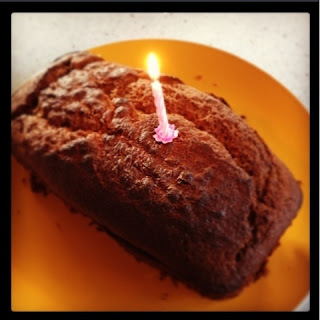 Then it was time to bake a cake. I decided on a ginger cake and we found a recipe and started baking. 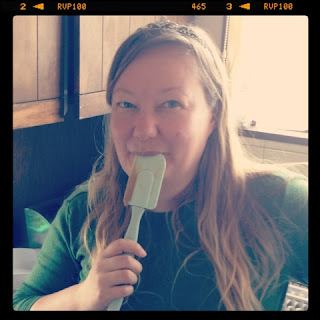 As birthday girl - I got to lick the spoon at the end - gingery cake batter! The finished product was delicious warm, but it was actually better a little later on when the top started to get proper sticky. We had a fairly relaxed day and just after lunchtime we had some cheese and wine and then had a nap! Soon it was time to get cracking on dinner and I had decided that I would like mushroom and spinach wellington for birthday dinner. 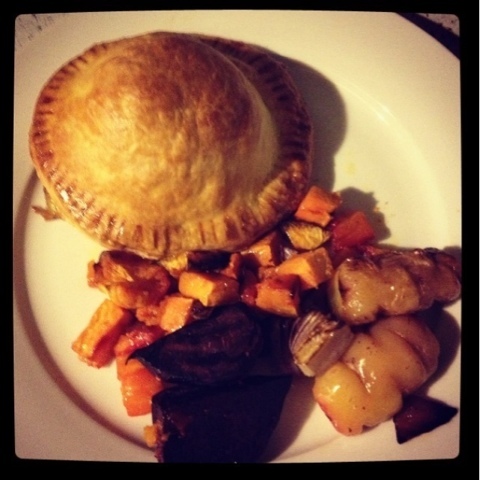 Which was served with my favourite side dish - roast vegetables. The roast veges were kumara, carrot, beetroot, red onion and yams. We both completely forgot about the bubbly chilling in the fridge! After dinner we had some more cake and tea and cuddled up to watch some TV before bed.